Spanish media showed pictures of the arrest in Spain of Stepan Chernovetskiy, son of a former Kyiv Mayor Leonid Chernovetsky, who lived in a house purchased with laundered money, according to Europeiska Pravda citing El Punt Avuі. The newspaper says Stepan Chernovestkiy was arrested in a resort town of S'Agaró as he is considered by local law enforcers as the money-laundering gang’s mastermind. It is expected that in the near future, the son of ex-mayor of Kyiv will be brought before the court to testify on his alleged involvement in criminal schemes. The detainee’s father earlier denied the fact of his son’s arrest in Spain. Read alsoNew NABU win: Railways procurement officials detained for embezzlementAs the media say, the police have seized from Chernovetskiy junior’s home boxes of documents and other items that may be evidence of money laundering. 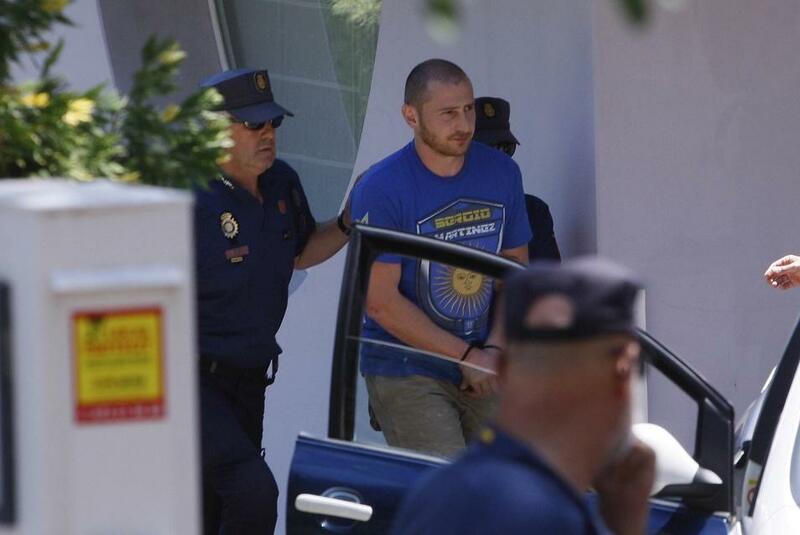 The edition Diari de Girona has published a photo of Stepan Chernovetskiy’s arrest. As UNIAN reported earlier, the Spanish security forces July 12 arrested the son of the former mayor of Kyiv Leonid Chernovetskiy, Stepan, in a raid, also busting a group of another 10 people.